Today was no ordinary day. It was my birthday! 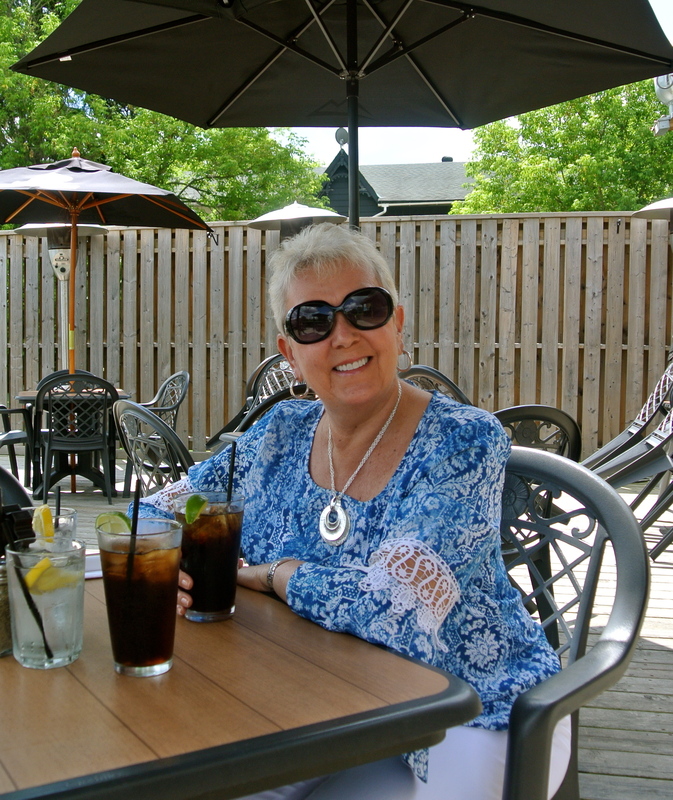 We had plans to visit friends in Bancroft so we made the decision to enjoy a birthday lunch instead of the usual dinner. It was such an outstanding day today. The skies were blue it was 25 degrees with a breeze so hitting a patio was a must. We were told that The Granite had great food and a patio, so off we went. Harry and I ordered the Ribs and Wings and they were excellent. If you like your ribs, slow cooked and tender, this is the place. The Wings come with a huge variety of sauces to choose from. There’s something for everyone’s taste. 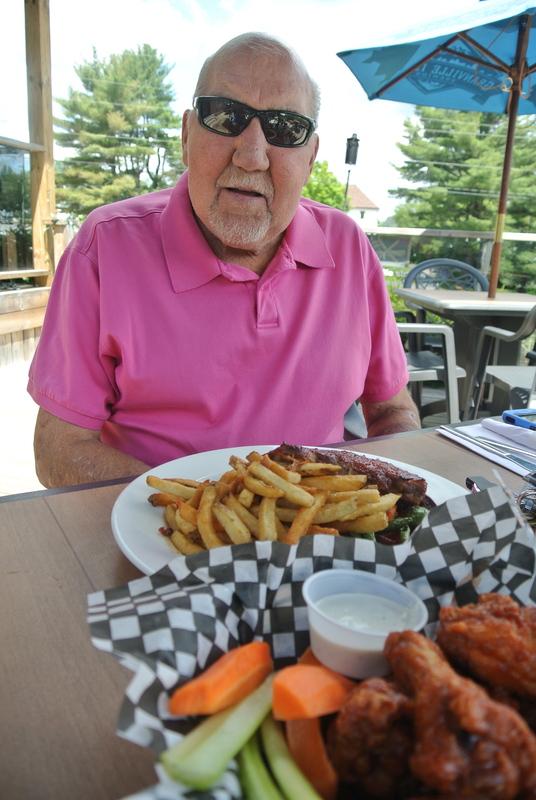 For those who know anything about Harry, he’s a fry aficionado and these met with his high standards. 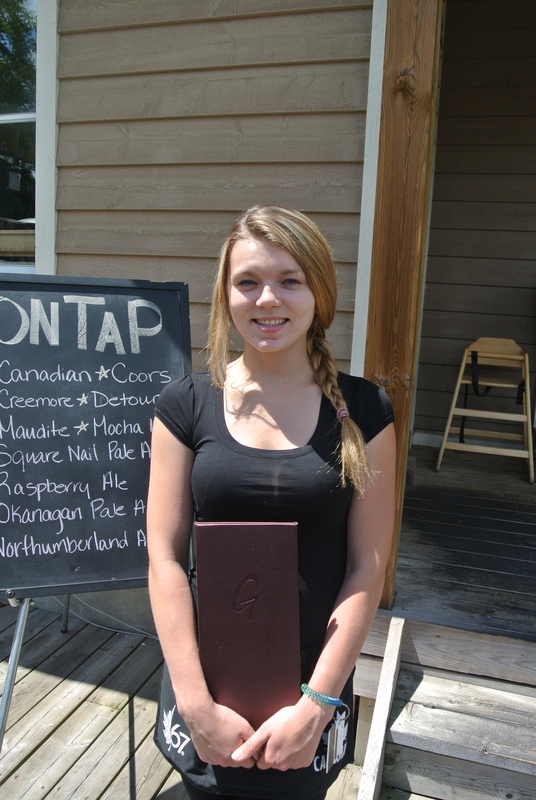 Our server Claire pictured below is a very cheerful and efficient young woman who loves her job. We spoke briefly and she told us she loves meeting the folks from far and wide that come to The Granite. We also had a chance to chat with Shane, the new owner and he was pleased to share his ideas about seasonal, local fare. Shane took over The Granite about 2 years ago. You’ll find it to be friendly, clean and great value. Aside from the tasty menu, there’s also a good selection of Beer. Beer must be in order on such a glorious day sitting on the patio overlooking the town. Cheers! Thank you to the cooks and staff of The Granite for making my Birthday such a great Day!